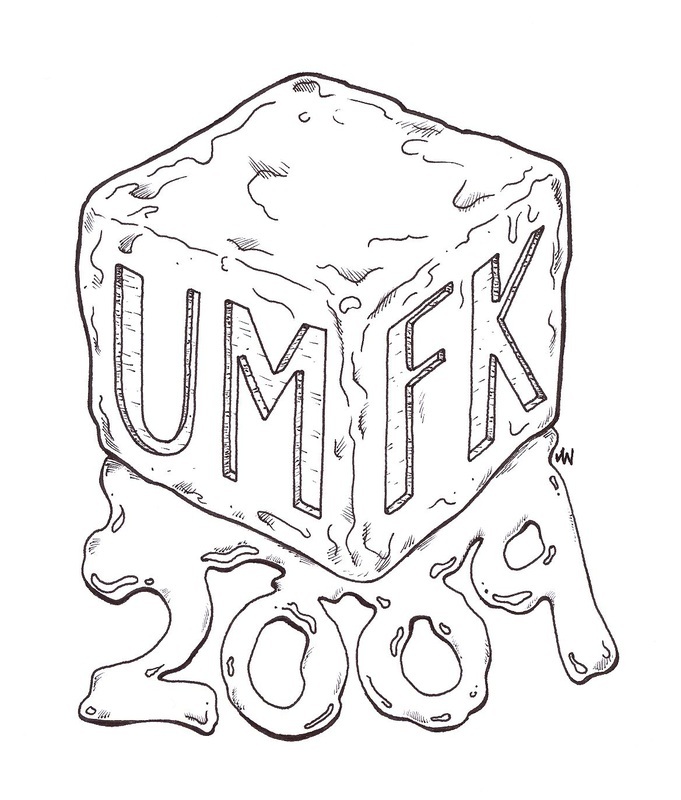 During my studies at UMFK, I was a member of the Student Senate and volunteered to create some designs for the annual spring carnival. 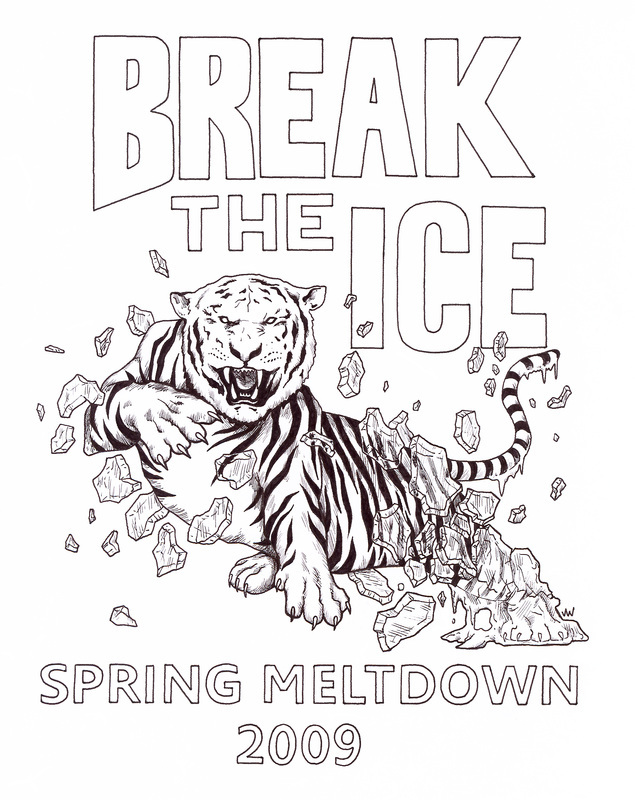 The school's mascot is a Bengal tiger, so I drew it as it was breaking from winter's freeze. The slogan, 'Break the Ice' seemed to be a perfect match with the images.